Whether it’s your first week in nursing school, beginning a career, or returning for an advanced degree, the pressure and the feeling of uneasiness would always be present. It’s normal, fella! In fact, successful nurses and even your clinical instructors and mentors have been there. In most instances, people experience greater success when they know what to expect and what to do when starting a career. Here are some extreme tips and advice from nurses who have been in your shoes. Always keep in mind that these keys may vary for each individual. There are some general propositions which hold true. 1. Accept the Fact It’s Happening! Breathe in, breathe out. Accept the fact that you are no longer dealing with the basics! Although some might think that college is simply one step above high school, there are several differences between the two, and one must be prepared for what’s ahead. How to deal with it? Serve yourself a little amount of maturity and a bunch of responsibility. In that way, you are accepting reality. You don’t have to be a superhero to embrace this core. All you have to do is to run your inner “program” to function in a best possible way, to enable yourself to grow and expand. There is nothing more important as taking full responsibility for what happens during this stage of your life. A lot of what we describe as success in life flows directly from it. Sometimes we have to be steady and give up pieces of stuff that we used to do when we are younger. A responsible person allows him or herself to get to the next level of personal development. Part of your education and career is to learn how to adapt to different personalities, teaching styles, and expectations. With this, you don’t have to change a lot about yourself. You just have to adjust and adapt to whatever comes your way. Develop an invested interest in things that you don’t usually do. Plus, learning how to deal with different types of people is a good skill to cultivate in any discipline. In this way, you are learning to adjust your attitude in a mature and perfect way! Also, be prepared to say no to friends and stand your ground if you have things that need to be done. Rest assured your buddies and pals will get your point and will possibly be admiring your dedication. There are free time plus weekends anyway. 4. Attend in Every Class. Be present even in the most boring lecture. The key to a good image is striving to be that which you wish to appear. Most of your instructors just need to see you over and over again rather than get used to an empty seat. When you miss classes, you miss lectures, notes, class discussions, homework explanations, and assignments. You may also miss in-class quizzes and even tests. Never get used to copying someone else’s notes or running toward a Xerox copy machine just to replace or satisfy your flaw. If you want to succeed and become a more active learner, you must attend every class — not almost every class, EVERY class. Don’t settle for being just a “face in the crowd.” It will be an advantage if you introduce yourself to your instructors. Learn to communicate and don’t hesitate to approach your instructor whenever you have a concern, problem, or question. Attending to your regular classes isn’t enough. Being a nursing student is harder than being a nurse in many ways. There would be various projects, reports and requirements almost every day so be prepared and take time to accomplish them just right in time. Always remember that these things represent your eagerness to succeed in nursing, and your instructor is entirely justified in taking it into consideration when assigning a grade. You don’t have to skip meals or sacrifice your favorite TV show just to finish all the stuff. Time management may be a great help! Time management is a must for all college students and people starting a career. It is, however, substantial for those who have other commitments like a job, sports, or any other errands. It’s okay to panic at first, but when you learn to manage your time properly, everything will go smooth. If you feel that you are doing more than you can handle, look for ways to make your life more manageable, and try to make some changes. Time for Friends. After a week of stress and hard work, why not commit yourself to your friends. If budget allows, invite a friend along for a lunch out. Also, an overnight with your closest buddies isn’t bad if you feel like it’s helpful in recharging yourself for another busy week ahead. Even if your schedules are varied, set some time aside regularly for spending time together–not only will it help keep you closer, but you may also find that it’s a great stress reliever! Time for Family. Instead of worrying about how to get in with your family, try to find something that works for your situation. See if you can get everyone together for breakfast once or twice a week. If you are on a night shift, perhaps you can plan a lunch together. Or if you are lucky to be dismissed earlier than the usual, go out to dinner instead of staying home. It doesn’t matter if the only available member is your sister or your brother. Invite him or her for an ice cream treat and the like. Keep trying new things until you figure out what works for your family. Time for Self. Sometimes there is the misperception that if you take responsibility, you put yourself on the least priority. Creating a little personal time each day isn’t bad either. With study and work time all demanding your attention, you are always juggling your day-to-day responsibilities. Finding as little as 15-30 minutes a day of uninterrupted, relaxing “me” time is challenging at best. Effective studying is very important. Set up an area where you can focus free from distractions. Decide on and adopt study strategies that work best for you. Review where you succeed and where you are challenged. Keep in mind that you want to be an active learner, not a passive one. The more you use and manipulate the information, the better you will understand it. Using and manipulating information in as many ways as possible also maximizes your ability to access your memory. One effective technique for most nursing students is to study from concept to detail, not the other way around. It will be much easier to learn the details if you take the time to learn the concept and theory first. The least efficient approach to studying is to attempt to memorize your notes from beginning to end. It’s not the words which are important — it’s how you understand a certain topic. Listening to your favorite down to your least-favorite instructors during discussion plays a very important role in starting your career. He or she may not be the perfect example of an instructor who knows everything in Nursing, but the best thing to do is to take notes and listen. Tests usually cover material that the instructor has presented in class. These may help you do less in reading multiple pages of your books and handouts. Take time to look over your notes during your free time while routinely playing your favorite music which for many people is vital and stay as comfortable as you are until the day of your exam. If you need to take issue with the instructor over a point on a test, do it. Or when the instructor and the text conflict, offer both answers on the test when possible. Remember, not all instructors are terror. Don’t forget to relax; it’s just an exam. If you feel that you have done your part, there is nothing to worry about. Develop ways on how to uplift yourself during your shift. You need not know everything. Remember that you are just starting. It’s okay to make mistakes at first and learn from it afterward. Focus on where you are going, what you will learn and not on how much or little you know now. One of the many things that student nurses must learn is on how to construct their own Nursing Care Plans. If you are struggling with making your own, try our Nursing Care Plans and make your work more comprehensive. Keep in mind that one thing most professionals regret is that they failed to take things lighter than what it should be. We are often occupied by the pressure, and we tend to forget that everyone begins clinicals at different levels of experience. However, one thing that we should always be mindful of is that it’s better to learn the hard way than the easy way. In this way you are going through the process of learning, growing, making your mistakes and expanding your mind. Suffer now and enjoy later. This is obvious and a little cliché but what I mean is that as students and starters, you don’t have to suffer and forget about the enjoyment of being in a nursing school. You are absolutely awesome if you do your part as a nursing student and at the same time enjoying life to the fullest. This time of your life is a time of transformations and findings, and while not everyone’s experience is the same, this does not prevent college from being a fascinating time in our lives. 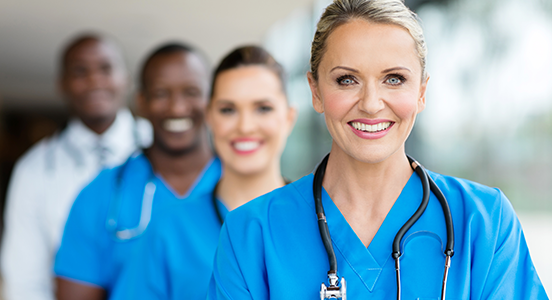 Nursing school offers an excellent opportunity to meet new people from all walks of life. You will be sharing a campus with diverse people from others countries, cultures, other religions, and languages. You will get to know and meet all sorts of interesting people, and while not all of them may be to your liking you are bound to leave college a better rounded, well-bred and more experienced individual.